The Board is established in Part 7 of the Surveying Act 2004 and reports to Government via the Minister for Planning, the Hon Richard Wynne MP. any other functions conferred on the Board by this or any other Act. To ensure the community can rely on competent, professional cadastral surveyors and have confidence in Victoria's property boundary system. To protect the integrity of Victoria's system of land boundaries by ensuring only competent cadastral surveyors are registered in Victoria and by monitoring the performance of cadastral surveyors. Encouraging the application of appropriate new technology and techniques to the cadastral surveying profession. 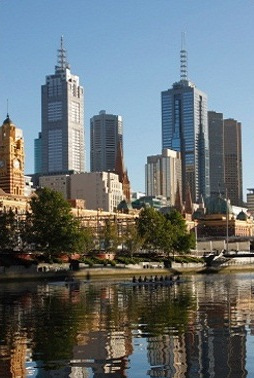 Annual registration for Victorian licensed surveyors. Reciprocal registration for licensed surveyors under mutual recognition arrangements between States and Territories in Australasia. Certificates of registration or extracts from the register. Identity cards to be carried by licensed surveyors when entering private property. Approval of courses of study that provide qualifications required for registration. Approval of professional training agreements between licensed surveyors and graduates. Examination of projects and surveys of graduate surveyors to establish competence for registration as licensed surveyors. Guidelines about the educational, training and technical standards required for cadastral surveying. Investigation of complaints about the professional conduct of licensed surveyors and imposes sanctions where necessary.